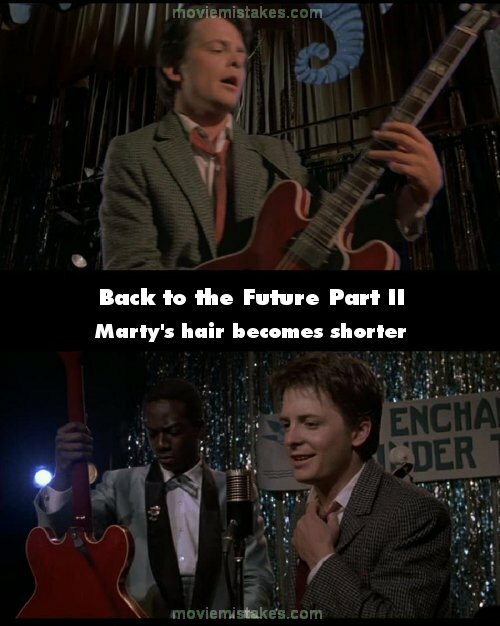 Continuity mistake: In the first BTTF movie, when Lorraine and Marty are sitting in the car, Lorraine takes off her coat and then asks Marty why he's so nervous. 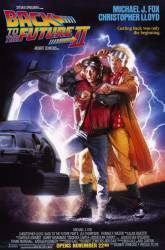 In this movie, when Marty is crouching down to get past the car, Lorraine looks at 1955 Marty and asks him why he's so nervous without taking off her coat. Continuity mistake: When Biff punches Marty in the stomach, he falls to the ground between Biff's henchman. The camera angle changes to a wide shot and Marty is still on the floor but he's about 3 feet in front of the henchman now.